Under the kids play centre is a patch of grass that just won't grow. Well, parts of it will and then the problem is we simply cannot get the lawn mower to it. It seems to just go to waste, and given it is a nice shaded space we wanted to make more use out of it. I am a big believer in planting plants for purpose, to bring wildlife into the garden or for food. I also really like wild flowers as they seem to really encourage insects into the garden. For some time I have been thinking how to incorporate all of this together, and yet still have a usable space for the kids to enjoy. 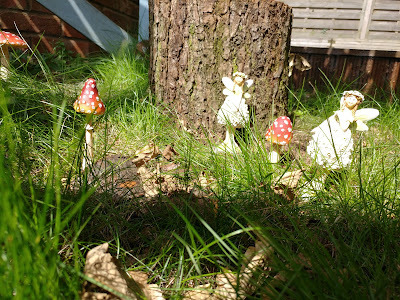 The idea of a fairy garden was born. 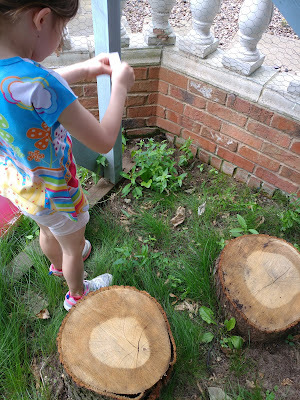 First I sourced some tree stumps to make a circle with. These act as seats for the girls, Little Man and their friends to sit on. You can also see in this picture how patchy the grass is. Then began the tricky part working out what to plant. We began by sprinkling some wildflower seeds, before planting some bulbs ready for next year. 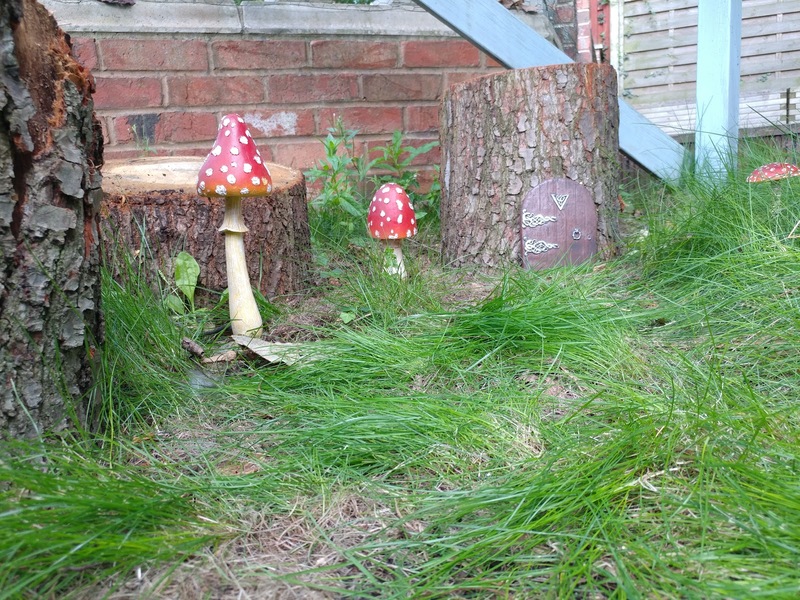 Next we added a selection of fairies and toadstools. The girls love that our fairies even have a magic door. They believe that at night the fairies come and help the plants grow in the garden. I feel our fairy door is going to add a real magical element to our garden. The girls made sure all the fairies had homes and that they were in the proper place. 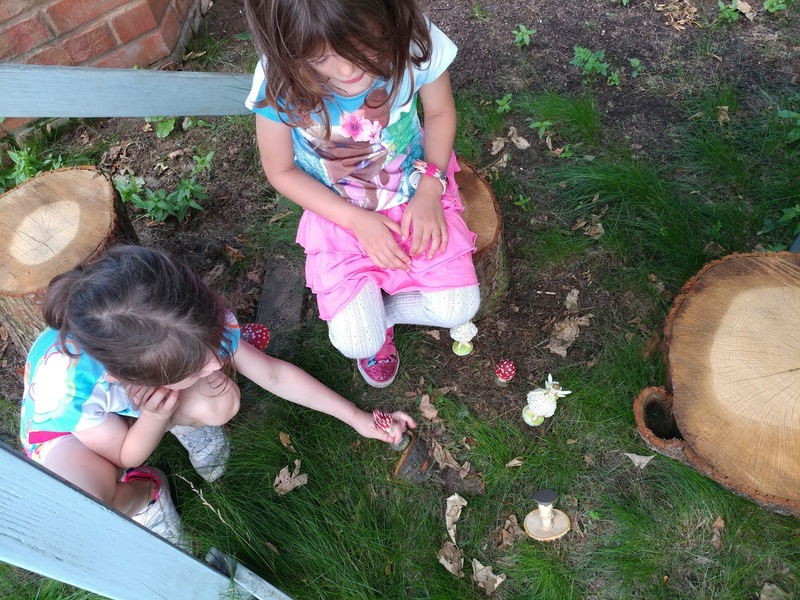 They love to sit on their wooden steps and make up games with the fairies. After making sure the fairies all had a place to live it was time to do the same for the bees. 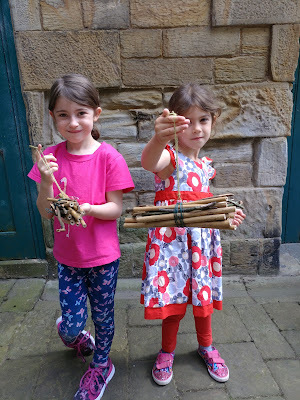 We gathered up twigs and cane and begun work on the bee hotel. 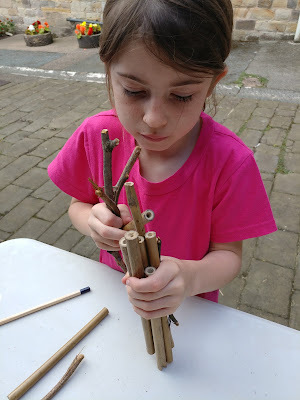 The bee hotels have been hung just above our fairy garden and we hope it will help encourage bees to visit, along with the flowers. By just making a few little changes we have managed to transform a piece of unloved garden into a much loved fairy garden. 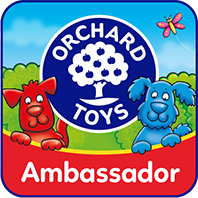 We are looking forward to watching our bulbs grow and the garden change over the seasons!